Cocktail Tables in both 30″ and 36″ round. These tables are known as pub tables, high tops, cocktail tables, or sweetheart tables. 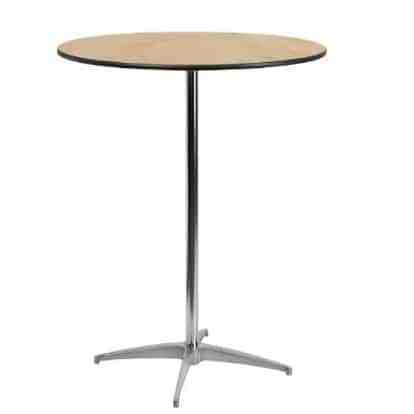 We offer both 30″ and 42″ heights for rental (click here for low top round tables).